Happy fall, y'all! With the change of seasons comes a bounty of new beauty products and beauty boxes, including today's catch, the latest Walmart Beauty Box. 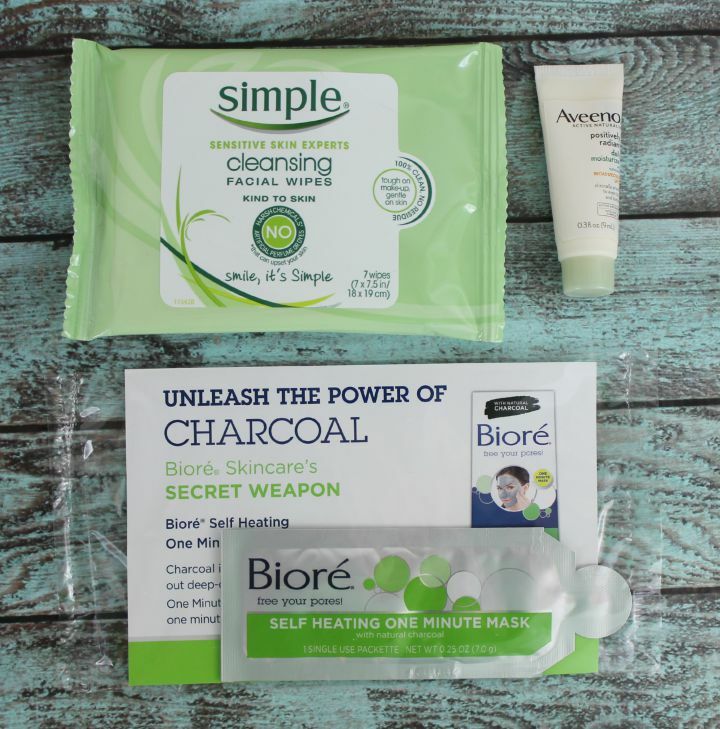 New to the Walmart Beauty Box? It's a quarterly beauty subscription box created by megastore Walmart. (Heard of them?) For just $5 per quarter you get a box filled with drugstore beauty and personal care samples (and occasional full-sized goodies too). You can check out my reviews of past boxes here. Anyway, enough logistics talk! Let's see what was in it. Jergens Wet Skin is a relatively new line of moisturizers that are designed to be used immediately after you shower—supposedly their oil-based formulas somehow lock in water on contact. I don't know if these are actually any different to regular body lotion (which also works best immediately after a shower, in my opinion), but I guess we'll find out! There was a packet of the Moinoi Oil and Coconut Oils in this little sampler, plus a $1.00 off coupon. I'm sure most of you are at least sort of familiar with Dove and their personal care products, so I probably don't need to explain what this is! I'm not sure exactly what "Beauty Finish" is though—I guess that must be the scent? Beauty Finish or no, there was also a $1.00 off coupon for any Dove Advanced Care Antiperspirant in the box. I've been feeling pretty meh about the razor I've been using lately (why do your blades dull so quickly, Dollar Shave Club?) so I was very excited to see this in my box! Schick makes really great blades—they give a smooth shave without nicking the crap out of your legs. There was also a $4.00 off coupon inside the box. Another body lotion sample! Tis the season, I guess. This one is supposedly non-greasy and relieves dry skin for up to 48 hours. Wipes! I don't usually use facial wipes as makeup remover so I can't comment on the efficacy of these in that capacity, but I can tell you that these are excellent for keeping in your purse to wipe random crud off your fingers. They're low on scent so I don't feel like I'm taking a perfume bath with them, y'know? This is a wash-off mask that "purifies" pores. I've tried this before and find the self-heating aspect of it really pleasant (albeit short-lived), though I can't say I noticed any dramatic results after using it. Not going to lie though, I'm rather put off by the fact that Biore has the phrase Don't Be Dirty™ on the box. Really Biore, really? In any case, there was also a $1.00 off coupon bundled with it. An everyday moisturizer that's supposed to brighten while protecting skin (in the form of chemical sunscreen). This contains Avobenzone (which I think breaks me out) but I am curious about it, so maybe I'll test patch and hope for the best. A natural hold hairspray. This seems like a good/affordable product if you use hairspray as part of your everyday styling routine—I for one don't really since I started growing my hair long, so I prefer extreme hold products for those rare occasions when I try to wear an updo or something. Not a bad product in general, but not something I really need at the moment. I've tried this mascara before and I think that it's a decent choice if you want natural-looking volume. One word of warning though: The non-waterproof version doesn't hold up too well in extreme humidity, in my opinion. I wrote a full review of this really recently, if you're curious. Here's the short version: This is a two-step system (polishing toothpaste + whitening gel). I think it actually works really well as a gradual brightener/stain remover (or something to keep teeth bright between more intensive treatments), but if you want dramatic results fast, go for the White Strips instead. That said I do recommend this product for more subtle whitening, and found it to be more gentle on my gums than the strips. There was a $2.00 off coupon behind those sample packets, by the way. I thought this Walmart Beauty Box was a bit of an improvement over the last one. While there were quite a few low value and packet samples this time, most of them came with coupons, which in my opinion is exactly what the WBB should be used for—a way to disseminate samples of drugstore products and allow customers to try them at a discount if the samples pique their interest. I also thought the selection of items was a bit more logical this time—there were several samples of products that are actually new. If I'm going to subscribe to a drugstore box, I want to try new stuff! 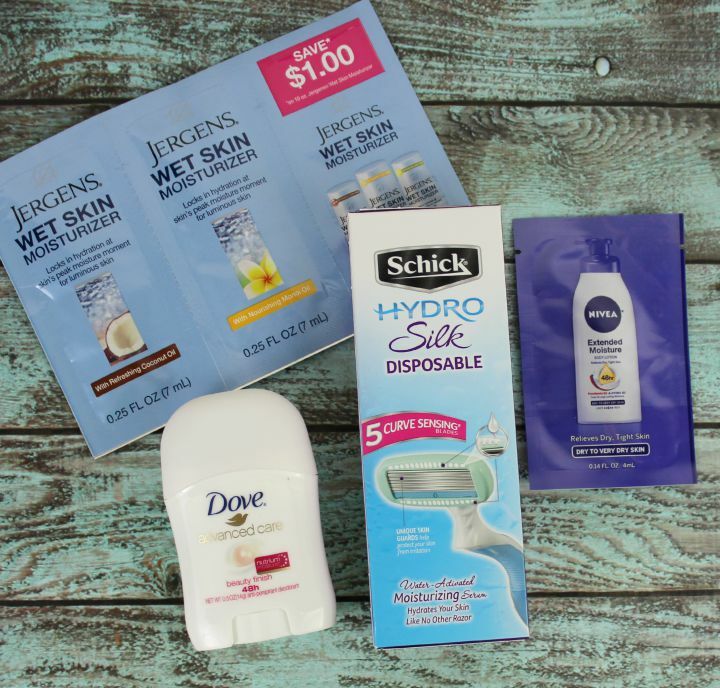 Overall I think you get what you pay for with the Walmart Beauty Box—for $5 you're not going to get luxury items, but if you like trying random personal care stuff before you buy (which I do) then it fits the bill just fine. I will definitely be using the wipes, deodorant and razor (which are worth the cost alone), and will probably give the moisturizer samples a shot too—seems worth it to me! Sound like a good deal to you too? 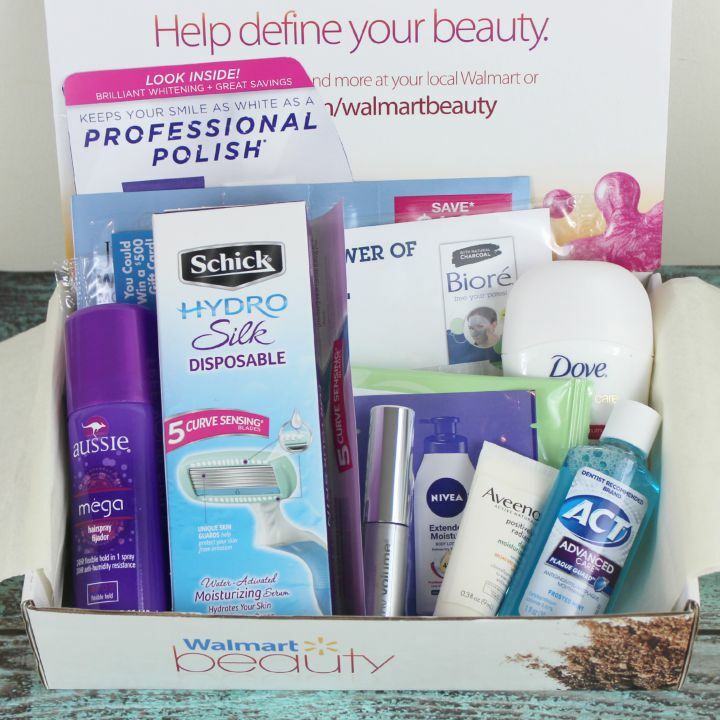 You can sign up for the Walmart Beauty Box here. 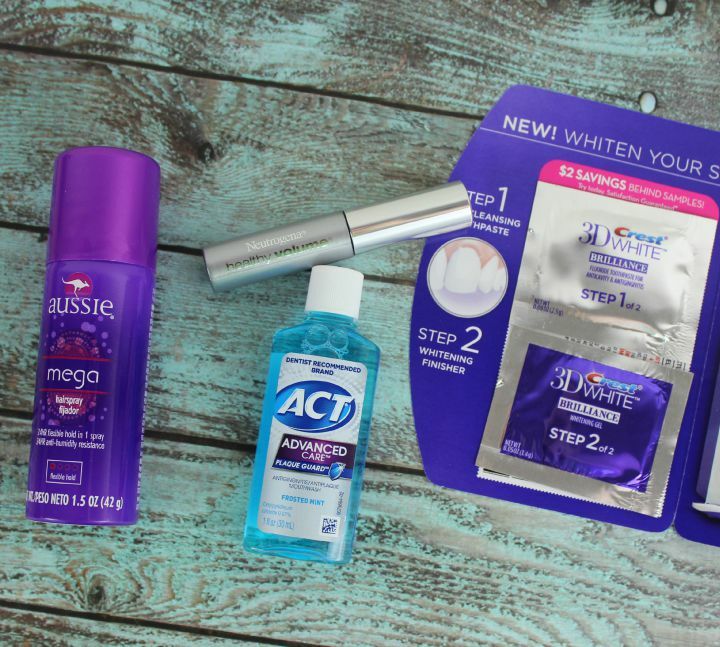 What do you think of my latest Walmart Beauty Box? Which of these products would you be the most excited to try?